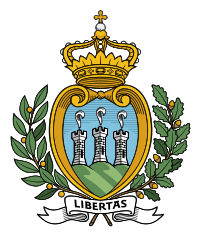 The Captains Regent (Capitani Reggenti) are the two heads of state of San Marino. They are elected every six months by the Grand and General Council – the country's parliament. Normally the Regents are chosen from opposing parties and they serve a six-month term. The investiture of the Captains Regent takes place on 1 April and 1 October every year, beginning in 1243. The practice of dual heads of government (diarchy) is derived directly from the customs of the Roman Republic, equivalent to the consuls of ancient Rome. The establishment of the regency took place during the first half of the 13th century, when they had the role of managing justice, a task similar to competence of magistrates. During that period they were called consuls, which derived from ancient Rome. The first two known consuls were elected on 12 December 1243 by the Grand and General Council with a six-month term which is still used today. At the end of the 13th century, the name of the institution started to change, as one took the title of "captain" and the other one of "defender", then in 1317 they became Captain and Rector. One usually belonged to the upper class, to guarantee the possession of skills necessary to govern the Republic with competence, and one to the working class. In 1972 a law was passed to abolish all the restrictions which prevented women from taking public positions. A woman was elected Captain Regent for the first time on 1 April 1981. The Captains Regent are elected every six months by the Grand and General Council, and they usually belong to opposite parties to grant a minimal amount of balance and an equal supervision. The electoral procedure is disciplined by a 1945 law, which is mainly based on the 1600s statutes. The pair is elected if it achieves an absolute majority; there is a second ballot if no pair gets enough votes. The Regency is considered the supreme office of the Republic. The Captains Regent are the head of the state, a function which they carry out as a single body, with a reciprocal right of veto. They have the right to be addressed with the honorific title of Excellency. The Captains Regent are impartial and their power is mainly symbolical, as their main duty is to represent the country and to guarantee the constitutional order. They supervise the Grand and General Council, the Congress of State, and the Council of the XII but without any right to vote or to decide. They dissolve the parliament when the legislature is over or when it is unable to form a stable government. The Captains Regent also have the power to promulgate and order the publication of the laws approved by the Grand and General Council. The Captains Regent cannot be prosecuted in any way during their mandate, at the end of which they are subject to the Regency Syndicate. This judgement, established by the Statues in 1499, is now fulfilled by the Guarantors’ Panel on the Constitutionality of Rules, following the revision of the Declaration on the Citizens’ Rights. The procedure provides that, within fifteen days after the conclusion of their mandate, every citizen registered in the electoral lists may submit claims against the Captains Regent "for what they have and have not done" during their mandate. ↑ "Captains Regent - Repubblica di San Marino, portale ufficiale". Retrieved 31 January 2016. ↑ "Women Captains Regent". Retrieved 31 January 2016. ↑ "Election of the Captains Regent". Retrieved 31 January 2016.